Lately I have had a lot of people ask me what Idaho Pursuit is... 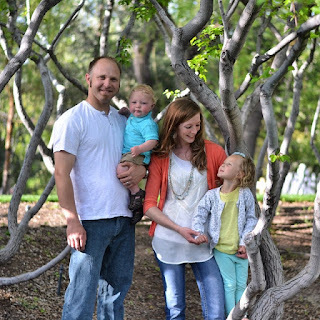 I've given many of these people the quick simple answer such as, "It's my online blog/website about the outdoors... I also sell hats and hooded sweaters and what not..." As simple as this answer was, it never sat well with me because to me Idaho Pursuit is something more... a lot more! So he is my detailed answer of what Idaho Pursuit is. Lets take it one word at a time. According to the US Census Bureau, Idaho is the 7th LEAST POPULATED STATE yet the 14th largest state in our great United States of America. What does that mean... it means that Idaho is all about being outdoors! It means miles and miles of rivers and mountains to explore. It also means that yes, people do live here in Idaho. We do exist and we do matter! 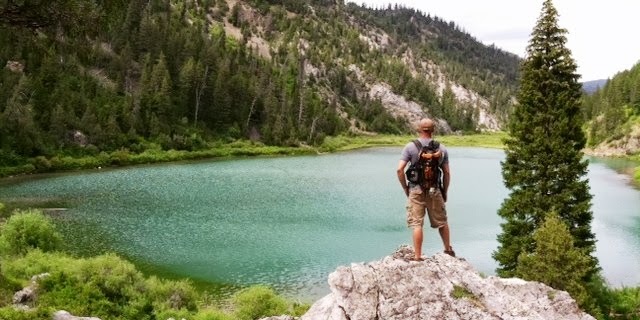 Whether it's hunting, fishing, camping, hiking, socializing, photographing, boating, spelunking, surfing, or any other outdoor activity, you can find it in Idaho. Idaho is known as being the Gem State seems how nearly every type of gem can be found within our boundaries. When you think about this literally, this is quite unique and gives Idaho a one of a kind reputation. Figuratively speaking, when you look at the state of Idaho as a state that you can find nearly every type of gem (whatever type of gem you are looking for in your life) Idaho can be that state which helps you find what you are looking for in life. Some of my own personal gems are my family, my religion, my education, as well as my hobbies and interests. Idaho is also known for its mountains and rivers. The Sawtooth Mountains, The Lost River Range, The Clear Water, The Snake River, The Salmon River Mountain, Frank Church - River or No Return Wilderness Area, and the White Clouds just to name a few. These lands represent freedom, public access, uniqueness, and diversity. These areas are full of fish and wildlife which give life to everything they interact with. They also are areas that show just how dangerous and fragile life can be. As an example, just less than a hour away from where I live, the all-time lowest temperature of Idaho was recorded at a chilling -60 °F (−51 °C) without windchill, at the Island Park Dam on January 18th, 1943. As a comparison, the coldest temperature recorded in the lower 48 states was -69 degrees. This shows the extreme conditions that you can experience in Idaho! Idaho is also know of course for their potatoes! Literally, I have held potatoes that are bigger than my own head. Potatoes so big that one single potato could feed my whole family. 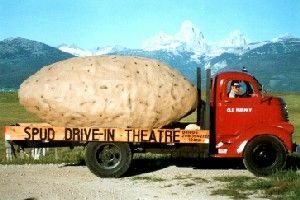 When I lived in Texas for a few years, the joke was, "Everything is bigger in Texas.... except the potatoes". I'm hear to tell you that it's not just the potatoes, Idaho is plentiful in lots of agriculture as well as plentiful in their wildlife! Of course I won't get into the elk populations prior to the re-introduction of the wolves, but I will say that our populations of wildlife are abundant. I love when people come to visit and I can take them up into the mountains and almost guarantee them that they will see some deer, a moose, or a few elk. So... Now that we have clarified what Idaho is, let me explain one thing before moving on to the "Pursuit" section. When I named my blog Idaho Pursuit, I knew that I was "limiting" myself to just Idaho, but the more I thought about all of the items I listed above, I realized that Idaho Pursuit isn't just about Idaho, its about the lifestyle and activities Idaho supports! 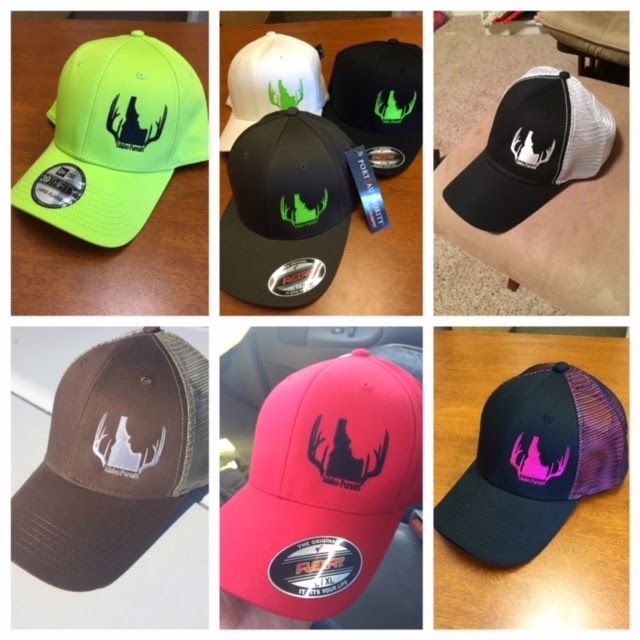 I've sold Idaho Pursuit hats to Idaho, New York, California, and about 10 other states which goes to prove that the content and attitude of my blog is not just limited to Idaho. Which leads me right into explaining the Pursuit. Here are some of the definitions of the word pursuit - "1. The act of pursuing. 2. An effort to secure or attain; quest. 3. Any occupation, pastime, or the like, in which a person is engaged regularly or customarily. 4. When someone tries to get, achieve, or find something in a determined way". These definitions were exactly what I was looking for when I wanted a name with a meaning. 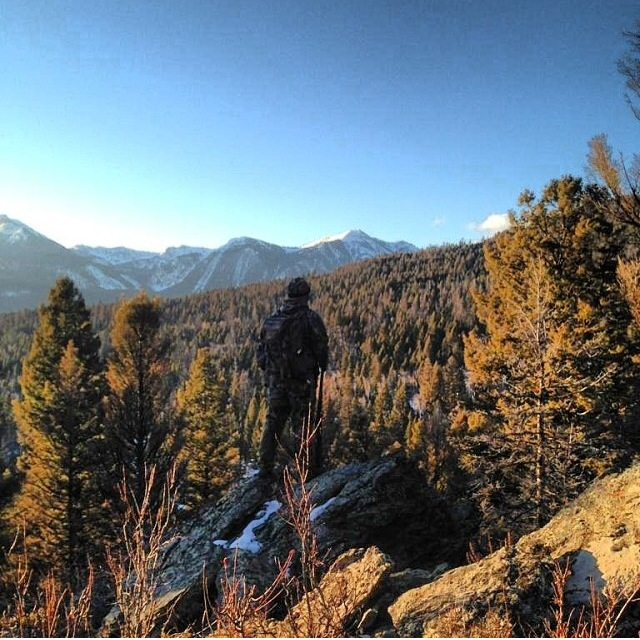 To me the outdoors are much more than just a moment, its a lifestyle, a journey. When I head outside for a hunt or even just a leisurely stroll, I often find myself reflecting on so much more than just the journey at hand. Another quote that helps me understand the word Pursuit is, "If you're not getting better than you're getting worse, you never stay the same". This applies to all aspects of your life. It is impossible to stay stagnant in this world that we live in. With all the influences for both good and evil, you are either becoming a better person or a worse person. What you constantly do is a outward reflection of who you are on the inside. If I spend my days watching TV and yelling at my kids, the amount of satisfaction I will have in my life is going to be minimum. Of course it is relaxing and I am not against sitting down and watching a show, but my personality is more about getting out of the house and doing something that will make me a better person. When I chose "pursuit" this is was I was hoping to capture as well as convey to share these messages with those who read my blog. So, what is Idaho Pursuit? It is what you make it. It's a little bit of everything without a limit of what it can or can't be. Just like the state of Idaho, Idaho Pursuit is a place you can come to find that gem in your life that you may be looking for. If there is something you haven't seen or want to see on Idaho Pursuit, let me know... who knows it may lead to you and I making an adventure to explore together. Idaho Pursuit is more than a blog, more than a hat company, and more than just some online outdoorsy website. Idaho Pursuit is you, your life, your passion... I hope you enjoy it and make it something wonderful! I appreciate all those who read and comment on my posts. Please keep in touch and lets get out and enjoy the outdoors! This time of year brings about a lot of new outdoor activities many of us haven't been able to do during the winter. As the snow starts to melt and you start preparing for your outdoor adventures, don't forget to make sure you gear is all up to par before leaving the house. Of course we all want to make sure we our gear is working properly before we put it away and store it during the winter, but it is still smart to check everything before you head out on your spring adventures. Here are a few things you want to make sure you check before leaving the house. There is very little gear that makes as much of a difference on your experience in the outdoors than what your boots do. If you're boots are worn out, falling apart, or just not cutting it, then chances are you're adventures are going to be cut short due to wet or sore feet. Before you head out of the house check the stitching of your boots to make sure everything is till good. Also if you have leather boots, make sure the leather is not cracking or ripping. It is also smart to treat the leather on your boots with some leather lotion to prevent cracking, drying, and even help waterproof the leather. Another part of your boot you need to check is your insoles as well as your laces. I always carry para-cord in case I have a shoe lace malfunction. Even though it may seem like spring is here for good, we know that at any time of the year in Idaho, you can experience all four seasons in just one day. Make sure you always have layers no matter what, and that you have clothing for every element you may face while outdoors. 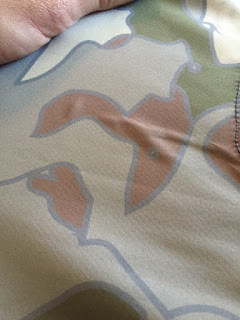 With that said, if you are getting ready to hit the hills but you just realized that you may have put on a few extra inches over the winter, it may be a smart idea to not squeeze into your hunting gear just yet and risk ripping, stretching, or ruining that gear before the season. Clothing that doesn't fit can cause a lot of irritation and be extremely annoying while trying to hike around. Get clothing that fits and get out to lose that winter insulation! Weather you're hitting the hills looking for shed, new hunting areas, or just getting out and enjoying the good spring weather, be sure to check a few of these items to make sure your trip isn't ruined or lessened by your gear failing. As I said, of course we encourage you to always clean and take care of your gear so you know what condition it is when you put it away for the season, but it is always safe to check things before you leave the house. Preparation is a key aspect of success for any type of adventure outdoors no matter how big or small it may be. These are just a few tips of course there are many other items you could/should check before leaving the house. Get out there and enjoy the outdoors! 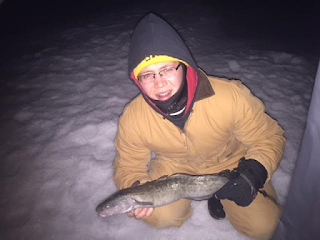 My cousin Keegan with his first burbot! 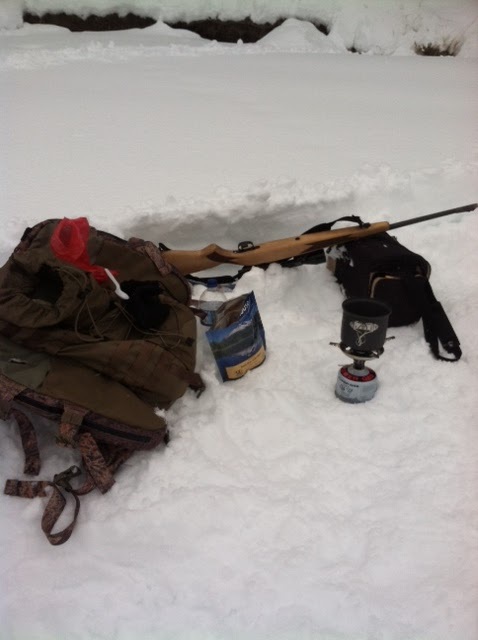 Every year I like to get over to Clark Canyon Montana and ice fish for burbot. Last year unfortunately, I wasn't able to make it due to unsafe ice conditions. This year however, I was bound and determined to make the drive to target these gnarly looking bottom feeders. As we got to the reservoir, the wind was blowing about 20 miles an hour with gusts much stronger than that. We loaded up our sled and threw the other gear on our backs to head out fishing. The interesting part of this trip was that the week and half previously had been abnormally warm. As we were stepping on the ice, the temperature was 45 degrees, even though it felt much colder than that with the wind. The ice had a thin layer of water on top which made for a eventful walk out to where we were going to fish. Luckily we were able to set up and get all of our holes drilled before it got dark. It took all three of us cooperating to get my hut set up with the wind. After we got the tent up, we started working on getting all of our lines out. 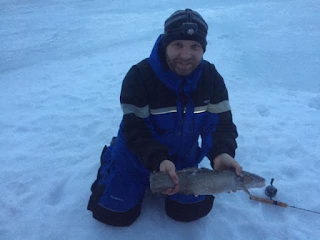 We rigged up with white glow in the dark tube jigs tipped with sucker meat, and within 15 minutes we had our fish burbot on the ice right before dark! As soon as we knocked the skunk off and knew we weren't going home empty handed, the trip was a lot more relaxing. The reason I love getting over to Clark Canyon to catch these burbot is because they are one of my favorite eating fish. One thing to keep in mind is to remember to check the rules and regulations because every area has a few different guidelines. At Clark Canyon you can only have two rods per person with the daily limit (as well as possession limit) of burbot being 3 per person. Also you can only have 1 burbot per person that is over 28" long. Keeping 3 per person will definitely give you enough great tasting fish to make the trip worth it. After our first fish, we sat for quite a while with no action. We decided to bust out the grill and cook a few Johnsonville Beddar with Cheddar sausages and tortillas... ha the only reason I clarify what brand and flavor of hotdogs we were cooking is because from this point on, if we had a slow time on the ice, all we had to do was put another cheddar dog on the grill and without a doubt we would have a fish on the ice by the time it was done! Seems how the burbot are bottom feeders, we had our lines set just an inch off the bottom. When the burbot would bite, the JawJackers would set the hook and the fight was on! Most of the burbot would fight really hard but we had one or two that just seemed to come in without much of a battle. The later in the night we got, the harder the fish would fight. By the end of the night, the fish we were pulling in were aggressive and typically larger than the ones we caught earlier in the day. We had a blast keepin up with our JawJackers going off. We kept our lines re-baited, and even pulled them up once and a while to recharge them with light so they would glow under the water. By the end of the night, we had caught 8 on the JawJackers and one jigging. It was a great time just chatting and joking around with some good friends. I hope you enjoy the pictures and if you want to make a trip out there next year with me, just let me know! Here are two videos of us reeling in a burbot this trip. With the wind you can't hear much of what I am saying, but it is still fun to watch these fish come out of the hole!